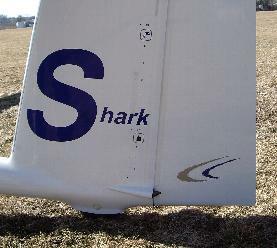 After extensive research and design, the resultant HpH Shark is a single seat, flapped, racing class sailplane with a totally brand new wing design. It is offered with 18M wing extentions and a 15M tip option, and its construction allows for various engine installations including “Jet Self Sustainer” and “Solo powered Self Launcher” options. To put simply, this is not a face lift of existing technology, but the very latest in what can only be considered to be state of the art technology. and a completely new sailplane. Many of the traditional solutions and sailplane standards have been reconsidered, updated, and incorporated into this new design. This results in a distinctly attractive, highly ergonomic sailplane that will satisfy pleasure seeking glider pilots, succeed in contests, and surprise even the most aesthetically exacting customers. 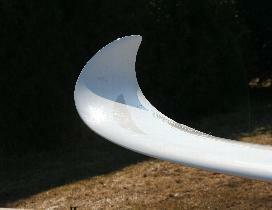 The HpH Shark meets the new specifications for contest flying. 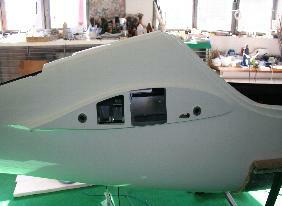 Equipped with speed flaps it was optimized for the FAI 18M class and is being certified to a MAUW of 600Kg. The airfoil is just 13.2% of chord in thickness, designed this way to reduce the influence of insect contamination on flight performance. 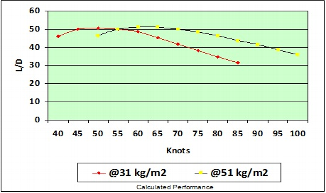 Towards the root, the thickness increases to 16.4% of chord with special care having been taken to the wing root/fuselage transition. The wing planform offers optimal lift distribution and is made possible due to the direct in-house CAD to CNC mould cutting equipment.Very few of the largest sailplane manufacturers are able to achieve this in house. The consequence is rapid mould fabrication not just for the wings but for the many moulded parts that come together to make a modern sailplane. The wing ends with an elliptically-formed leading edge, the curved wingtips are specially shaped to minimise the induced drag. The wing inner structure and its reinforcement resulted from detailed FEM calculations in combination with numerous stress and destruction tests. The result is a carbon fibre structure that makes the cruising flight very comfortable and offers maximum performance in both strong and weak soaring conditions. Construction shows attention to the highest detail using state of the art CNC technology. Water ballast is located in integral wing tanks with a 240 Litre capacity, 180 Litre in SJ and MS models. Additional tail ballast tanks, and optional fuselage ballast tanks, together with a MAUW of 600Kg allows the maximum wing surface loading to reach 50.8Kg/m2. This combination results in a MEASURED L/D ratio of 51.2. 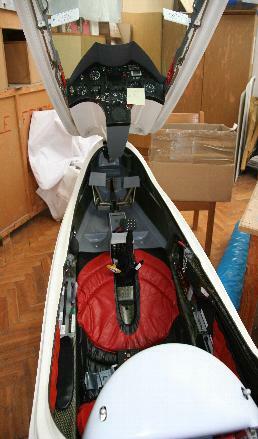 Three paddle airbrakes are provided allowing outstanding approach control and are necessary to achieve this result yet fit inside the thin (13%) wing when closed. Standards. All control surfaces have automatic connections, including water ballast and wing extentions.The three piece wing flaperons through the whole wing span trailing edge provides the pilot with superior handling to that offered by its rivals.Large and spacious cockpit accomodates pilots as tall as 6ft 6″ and 125Kg Cockpit ergonomics was always one of the main quality features of Glasflugel 304 Sailplanes. on a 18m sailplane today and fully compliant with the latest revision of CS22. 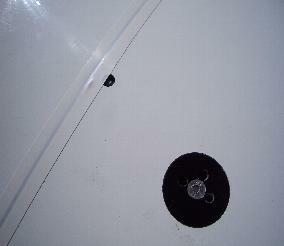 For example the “Roger Hook” for safe emergency canopy jettison, is integrated as standard in the solid frame. As a glider pilot, you know how important the feeling of comfort and safety is during the flight. These attributes are achieved by, amongst other factors, the use of high quality materials. Take pleasure in the massive carbon aramid frame, superior and durable leather interior, sensibly designed instrument panel, as well as hand hugging controls. Pilots as tall as 6ft 6″, and up to 125Kg are easily accomodated by the spacious cockpit, copious space is available in the well designed seat pan, and at shoulder level. HpH works closely with Alfred Spindelberger, the man responsible for over 8000 Cobra trailers worldwide. Arguably one of the best trailers available in the glider market today, careful design has led to Cobra developing bespoke fittings for your Shark. 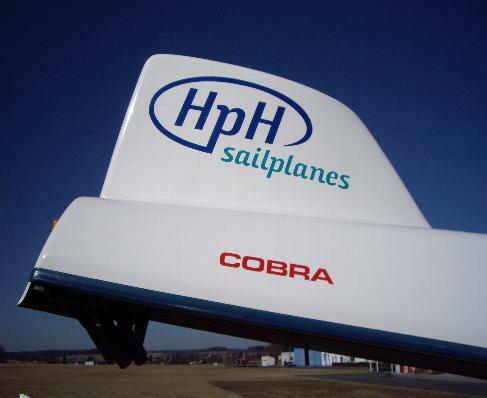 A Cobra trailer ordered with your HpH sailplane will be factory fitted out before delivery to the HpH factory, ensuring your glider is well cared for at all times of its life!